Subaru is excited to debut the newly redesigned 2018 Subaru Legacy! It has received updates that will work to enhance the elegance of the styling and the comfort of the cabin. It is also equipped with a wonderful range of advanced multimedia features, along with innovative new safety systems. Drivers can look forward to many new features for 2018, including standard Android Auto and Apple CarPlay, a redesigned interior, sportier styling, and the option to equip a Steering Responsive LED Headlight system. Learn more about the highly-anticipated new Subaru sedan by reading below! 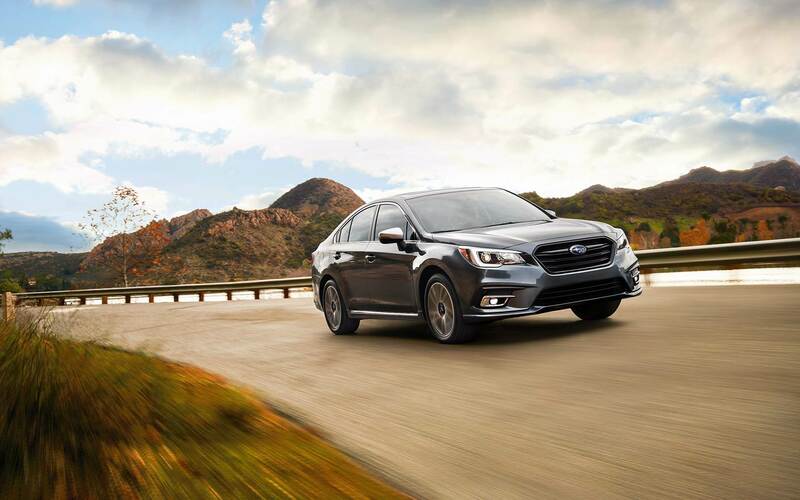 The Subaru Legacy has always been notable for its refined ride quality, and the brand has maximized that with the 2018 model. Drivers can look forward to a quieter and smoother ride, as well as the capability that Subaru vehicles are known for. Subaru offers their new 2018 model with two double overhead cam (DOHC) BOXER engines. The first is a 2.5-liter BOXER engine that can deliver 175 horsepower and 174 lb-ft of torque. It utilizes an Active Grille Shutter system that can reduce wind resistance, thereby improving fuel economy. The other available engine is a 3.6-liter 6-cylinder BOXER that delivers 256 horsepower and 247 lb-ft of torque. 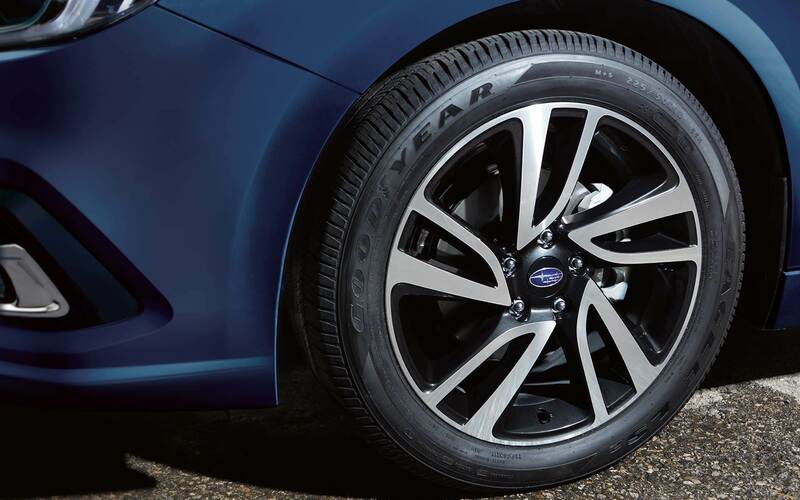 Every Legacy is equipped with the Subaru Symmetrical All-Wheel Drive system, which is an active system that automatically directs torque to the wheel that has the best grip. This makes the Legacy an ideal sedan for many driving conditions, even rainy or wintery weather environments. Both engines are paired to a Lineartronic Continuously Variable Transmission. The 2018 Legacy is a midsize sedan that has been refreshed both inside and out. The exterior has seen revisions to both the front and rear, with Subaru integrating sportier styling. The vehicle has lower, wider grille openings and redesigned headlights that have daytime LED running lights. Two new exterior paint colors have been added for 2018 - Crimson Red Pearl and Magnetite Gray Metallic. The interior has been equipped with even more premium materials. There is a redesigned center console and new interior hues available, while the steering wheel has a sportier look and feel. The air conditioning has also been upgraded, as it can now cool the cabin more quickly. 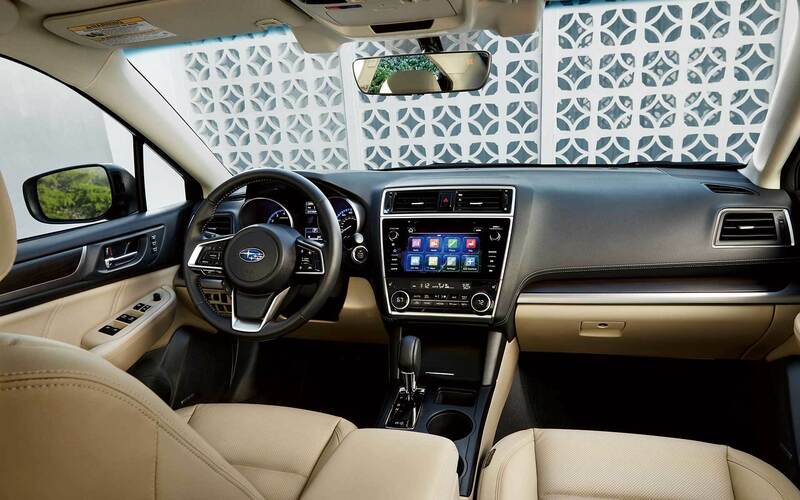 The latest version of the SUBARU STARLINK Multimedia system is offered on the Legacy, and it equips features like smartphone integration, iPod control, Bluetooth wireless capability, and a 6.5-inch Multimedia system. A STARLINK 8-inch system is also offered and has been integrated with smartphone-inspired controls. Does the Legacy have a quiet ride? Yes! Subaru has worked hard on their redesigned Legacy, ensuring that aerodynamics are improved and that the wind noise has been reduced. Where can I purchase tires for my Subaru? The all-new 2018 Legacy comes standard with the Subaru Symmetrical All-Wheel Drive system! Subaru has earned a reputation for maximizing the safety and security of every one of their vehicles, and this continues to be true with the 2018 Legacy. There are new driver assistance features offered for 2018, including the new Steering Responsive Headlights system and High Beam Assist (which is available with the Eye-Sight suite of technology). We would be happy to answer any of your questions about the new 2018 Subaru Legacy, so make sure to get in touch with us today at East Hills Subaru!